Diakont offers high-resolution torus inspections within BWR nuclear power plants, using remotely operated underwater vehicles (ROVs). The current method for examining the torus coating below the water level requires divers to manually perform visual inspections. This method is costly, time-consuming, challenges the utility’s ALARA goals, and is inherently unsafe. Diakont’s torus inspection ROVs are hybrid robots that operate in swim and crawl modes. The robots generate a vortex with built-in fans for adhesion to the torus wall without disturbing sludge. 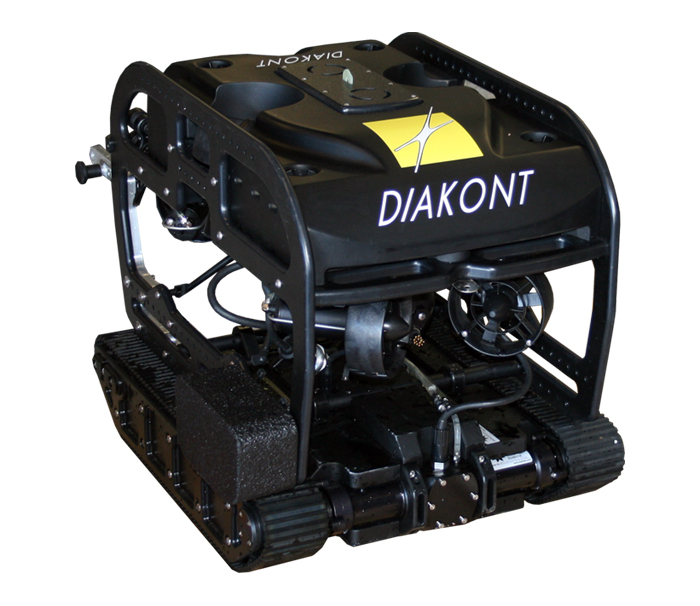 Diakont ROVs are equipped with a high-resolution color PTZ camera that meets VT-1 standards. Using this visual inspection equipment, Diakont’s torus inspection ROVs provide digital records for trending and comparison during future refueling outages. The deliverables from each inspection include real-time disposition of findings, a comprehensive inspection report, and video recordings. Nuclear utilities that use Diakont BWR torus inspection services significantly reduce inspection costs, duration, schedule risk, and personnel dose exposure, while increasing nuclear safety. These utilities also gain valuable inspection data for comparisons during future outages.